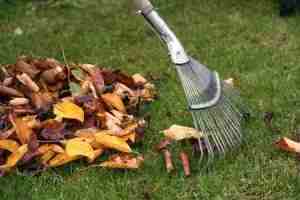 Leaf Removal: We clean up and remove all the leaves in your yard, flower beds, patio, etc. Depending on the type of trees you have, this occurs mainly in the fall and winter on an as-needed basis. Mulch Installation: Adding mulch to flower beds and trees helps in maintaining nutrients and moisture, leading to better health. Lawn Health: A proper program will help keep your lawn healthy and looking great. Pre-emergents are the best foundation for weed control, but we’ll add whatever you need to keep your lawn looking great all year round. Proper weed control differs, depending on the type of grass. Regardless of what you have, we can keep it in great shape. If your lawn is especially bad, or you want to change the type of grass, we can do an entire re-sod for a quick change (see our landscaping services). Even if you don’t need to re-sod your entire lawn, seeding can help thicken the grass and improve the look. We’re happy to discuss and help you decide what would be best. 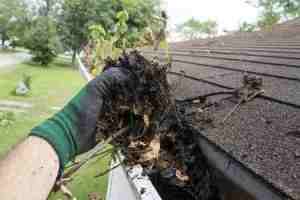 Gutter Cleanup: Leaves end up in many places, not just your yard. If you don’t clean them out of your gutters, downspouts can easily clog and render your gutters ineffective, which can cause water drainage problems. Let us climb the ladders and do the dirty work so you don’t have to. 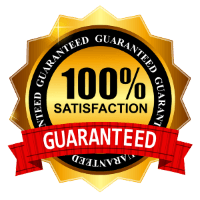 We can also install gutter guards to keep your gutters free from leaves, which greatly reduces the need for future cleanup. 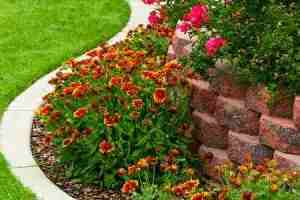 Seasonal Flowers: We can plant flowers during spring, summer, and fall, depending on what colors and flowers you prefer, as well as availability. Nothing makes your yard more bright and beautiful.